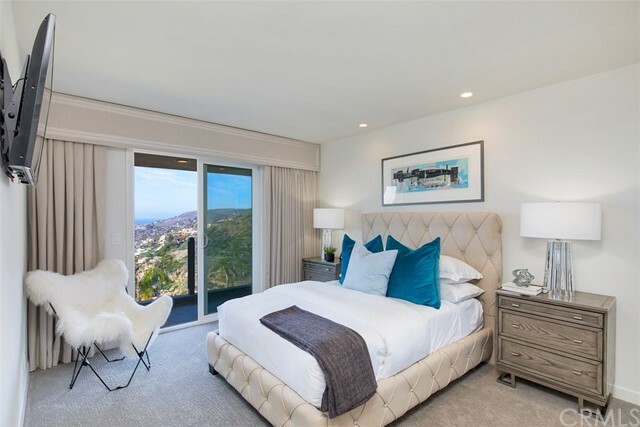 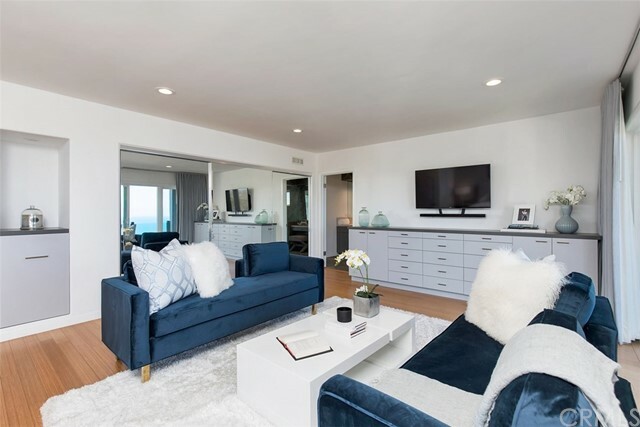 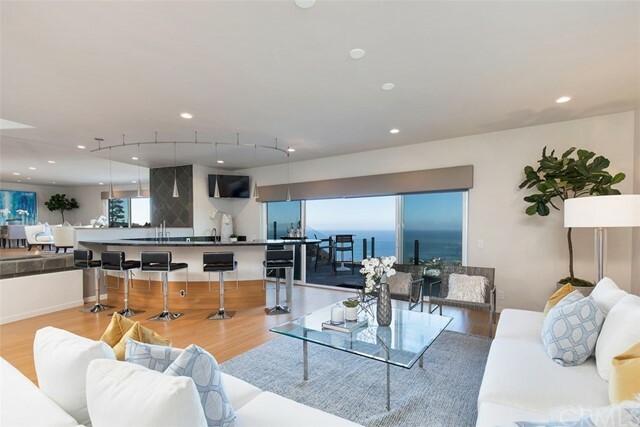 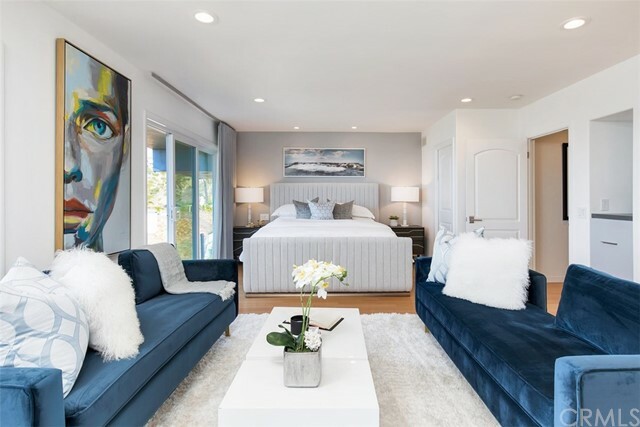 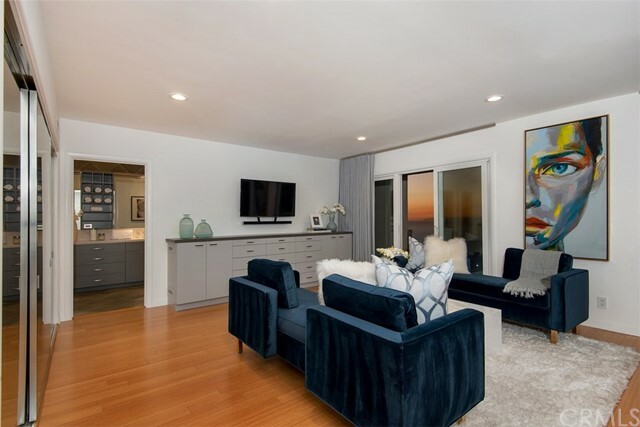 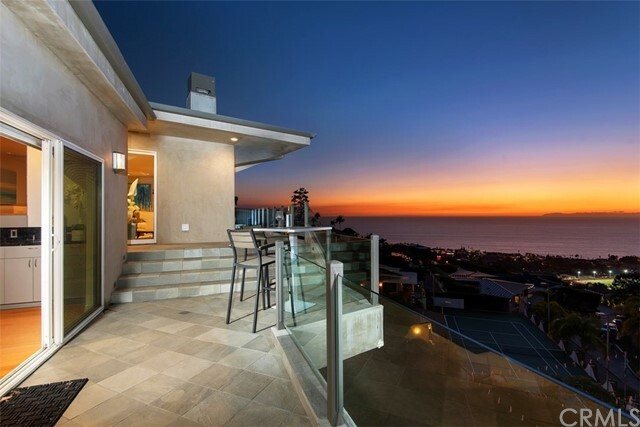 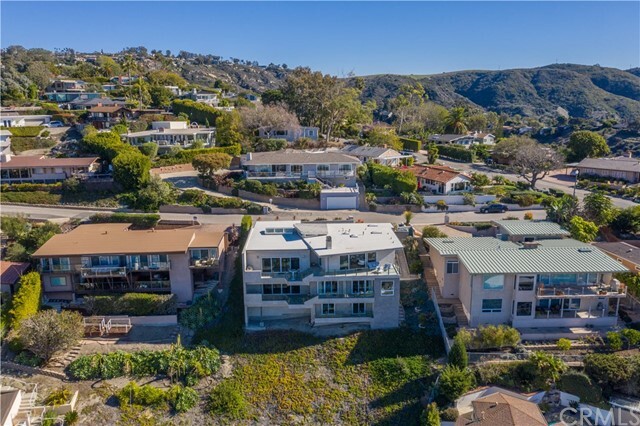 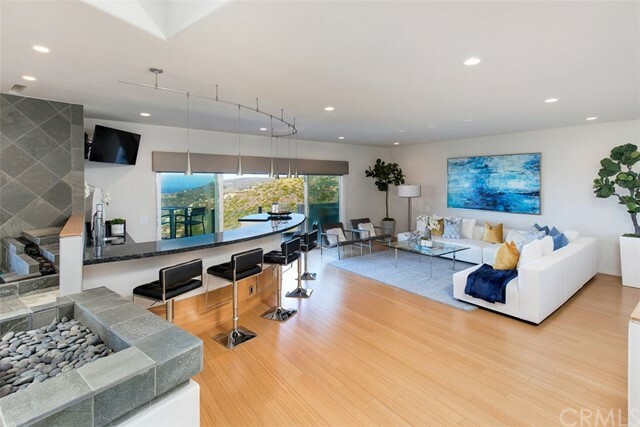 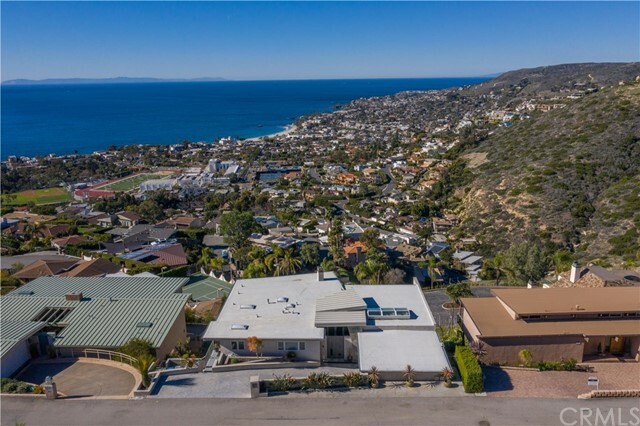 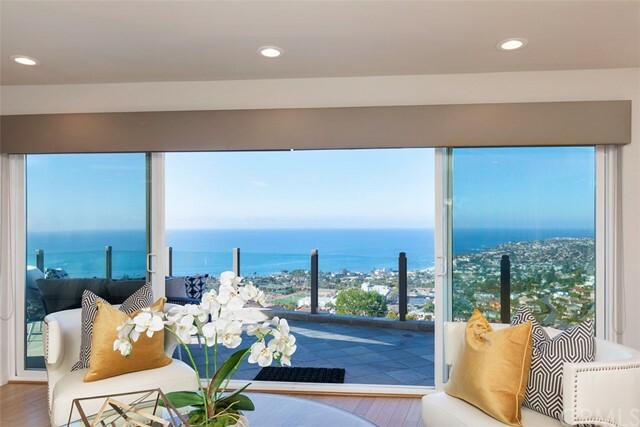 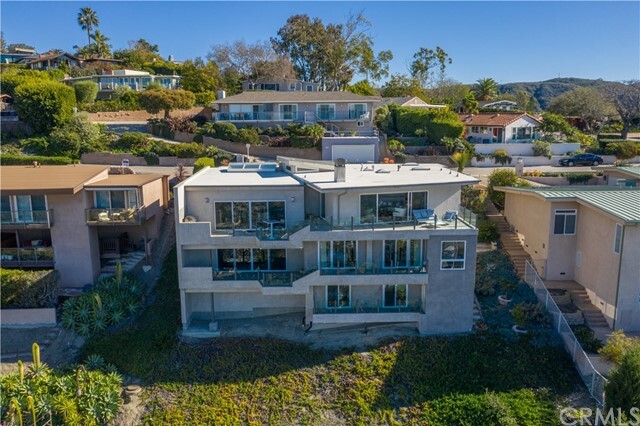 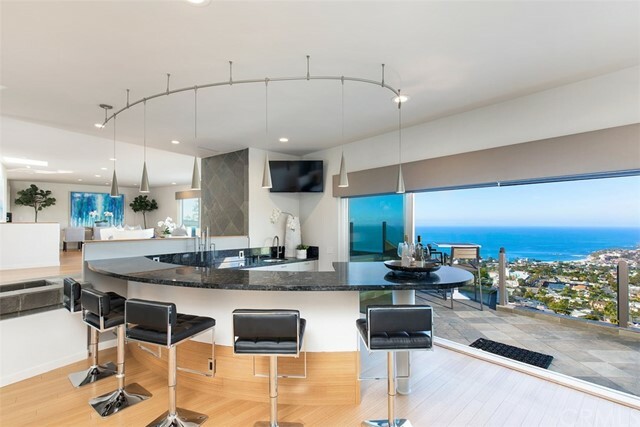 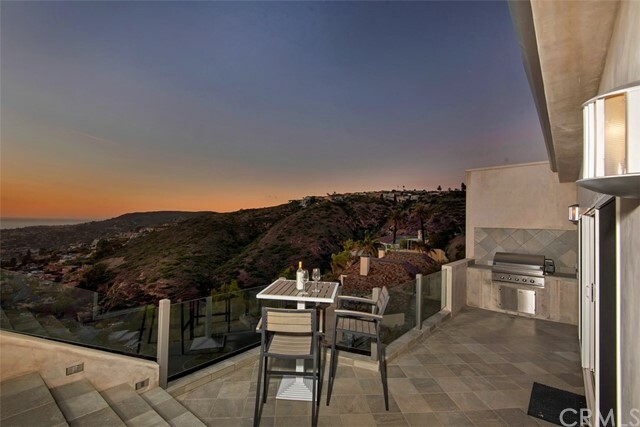 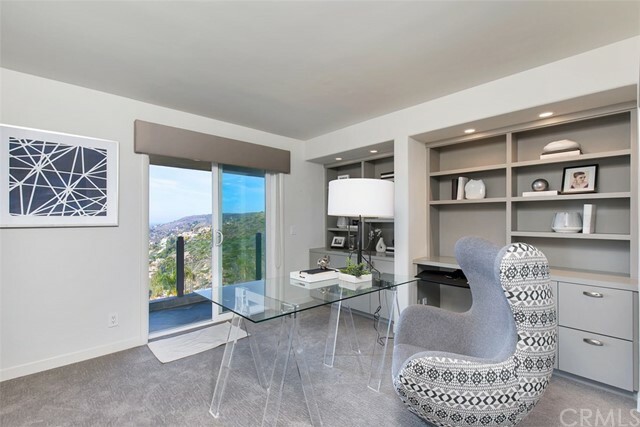 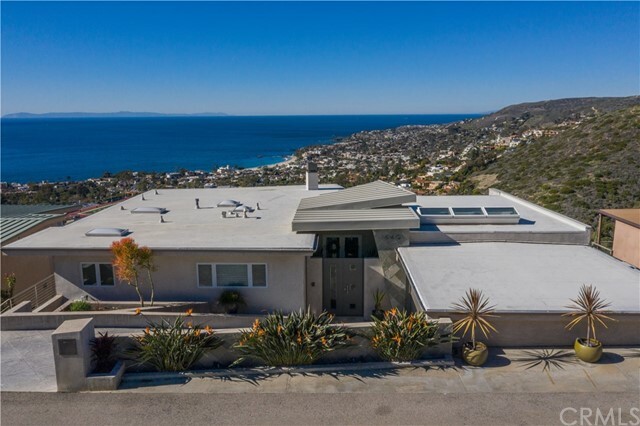 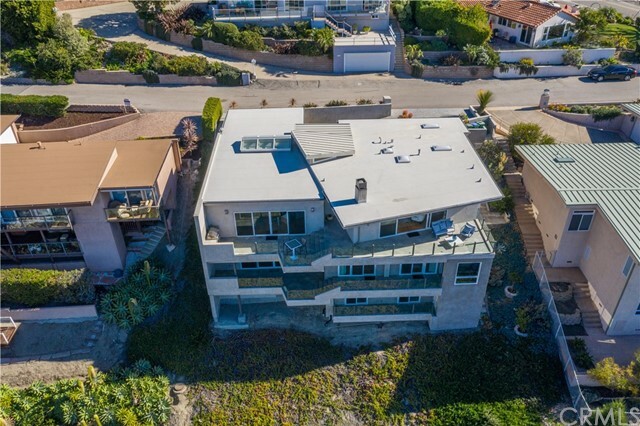 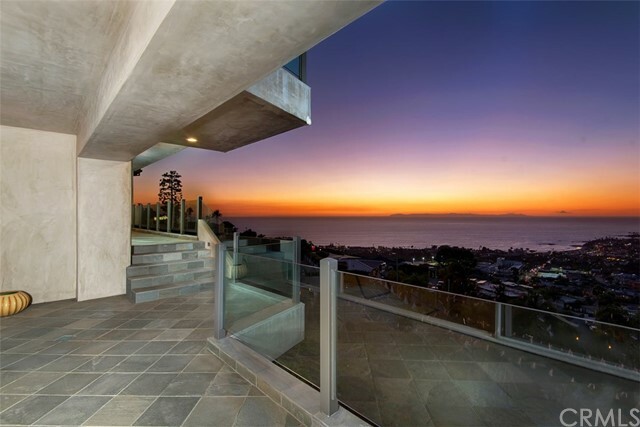 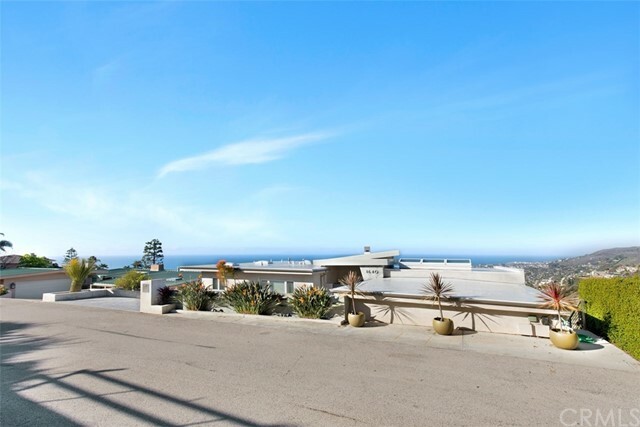 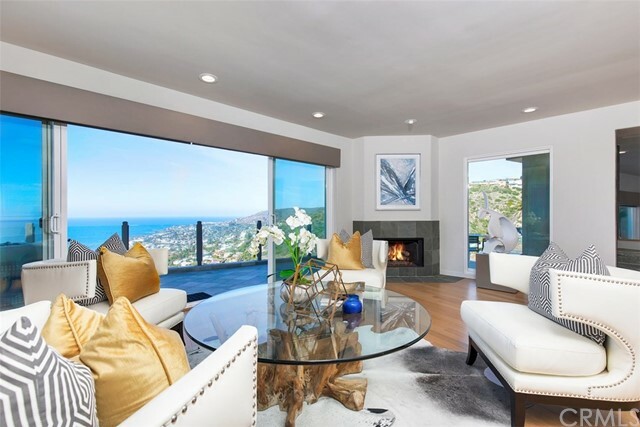 Unobstructed ocean views welcome in the crisp ocean breeze in this turnkey mid-century modern home built with exceptional details, materials and planning while pursuing maximum views from every room. 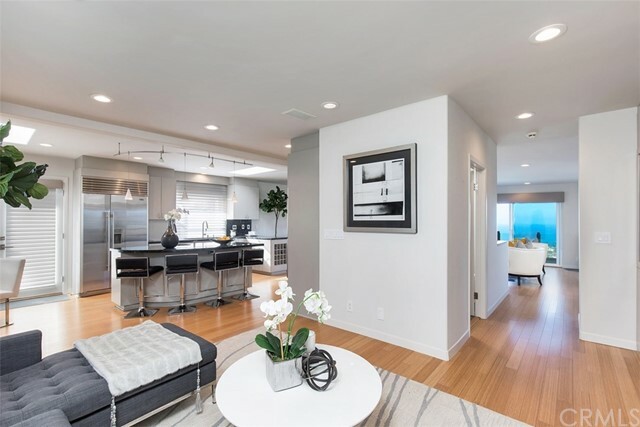 Dramatic private entry w/ custom doors welcome you to an open design concept, uncluttered sleek lines, extensive use of glass doors, a large entertainment room with an over-sized wet bar, wine frig. 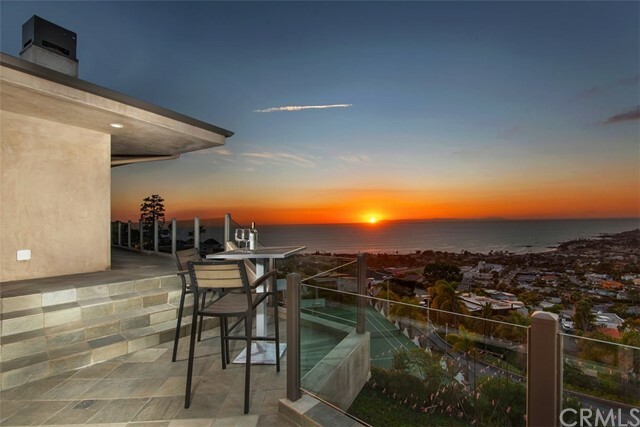 and seating for ten overlooking endless summer sunsets, opens to outdoor deck with BBQ perfect for entertaining. 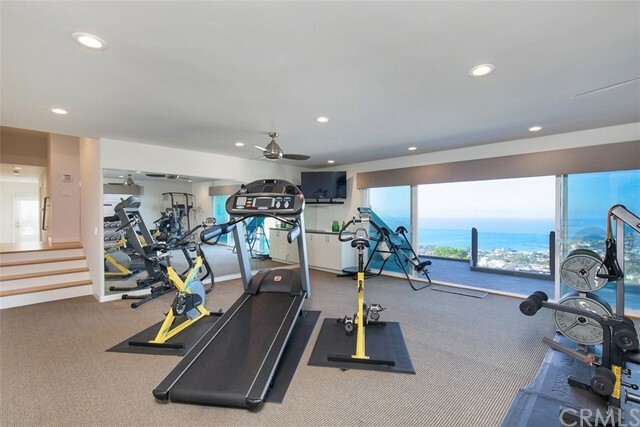 Two stairways link to the master suite and extraordinary gym which could be converted to a 2nd master with a custom sauna. 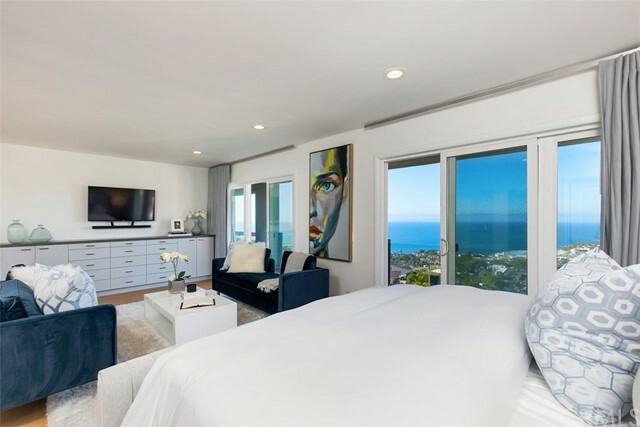 Bathed in light the master bedroom has a large luxurious sitting area and 2 generous closets. 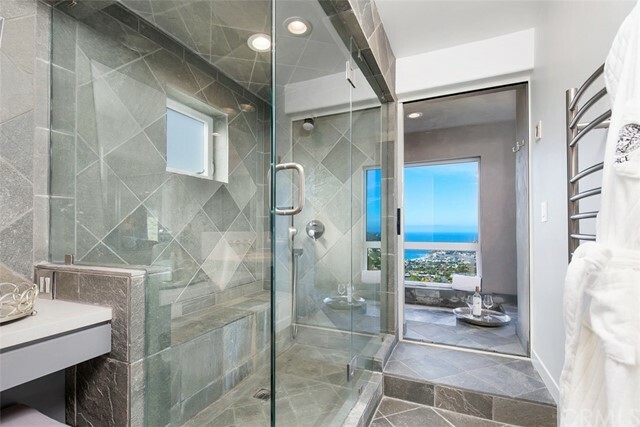 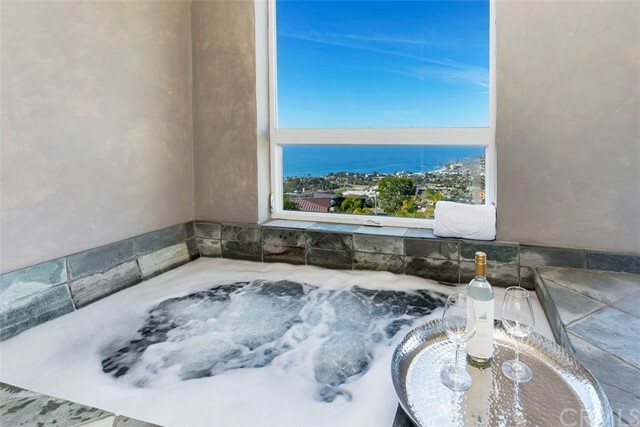 The expansive master bath leads to a private semi-enclosed spa with coastline views. 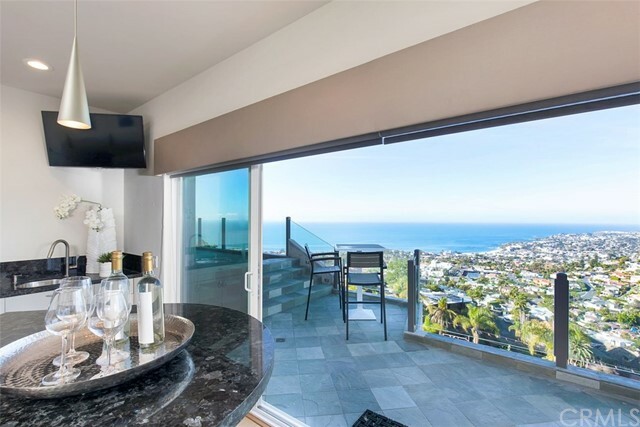 Two bedrooms afford the lower level replete with private balcony and views. 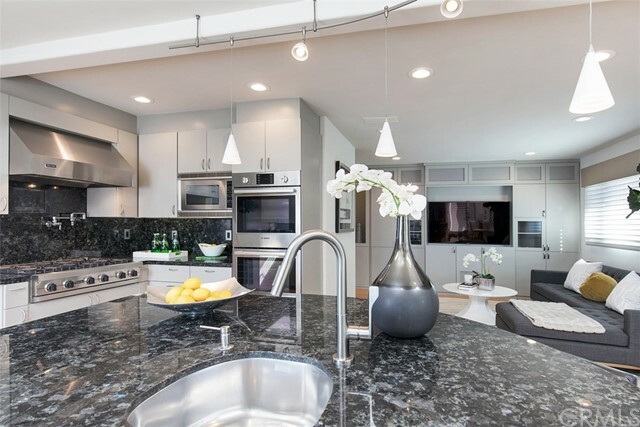 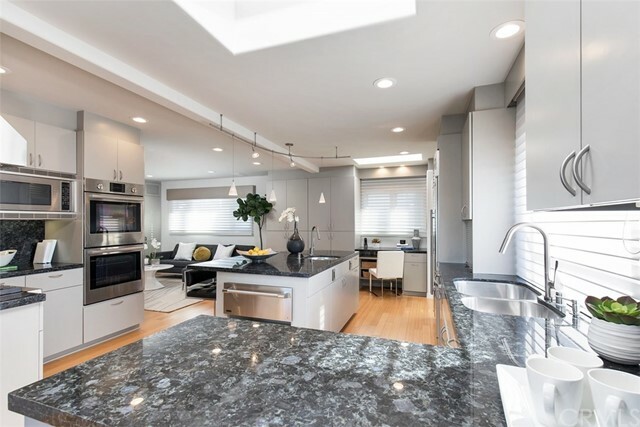 Top of the line chefs kitchen is clad with premium finishes and appliances including Viking range, Bosch double oven and dishwasher, Sub-Zero refrigerator, vegetable sink on island bar accommodates up to 4 creating a variety of dining options while overlooking trendy family room. 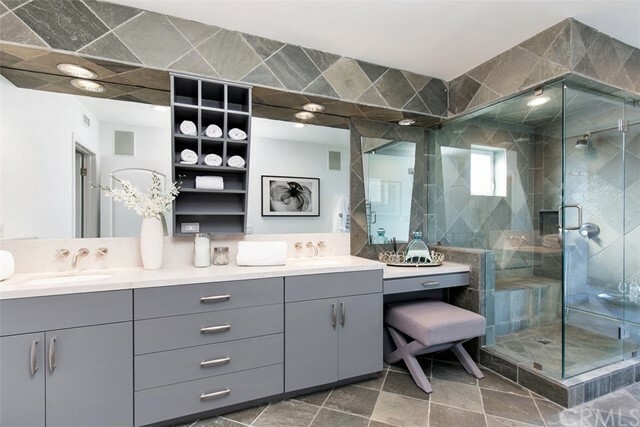 The laundry room is conveniently located on the 2nd floor. 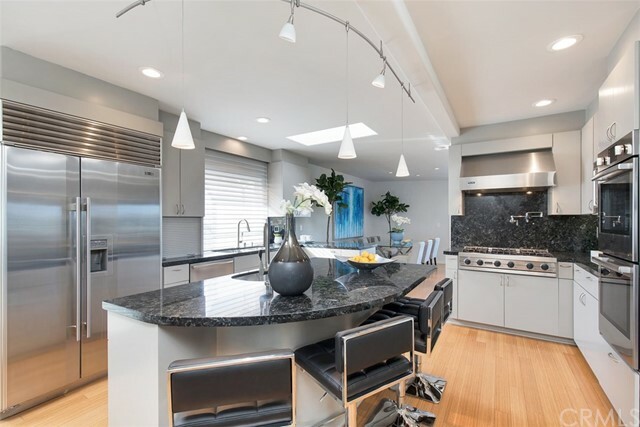 House includes a water filtration system, saltwater-based water softener, security system and abundant storage. 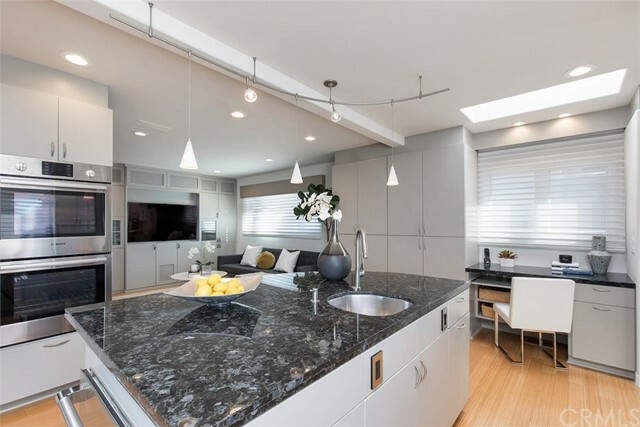 This Home is situated on one of the few premier private streets avoiding parking problems. 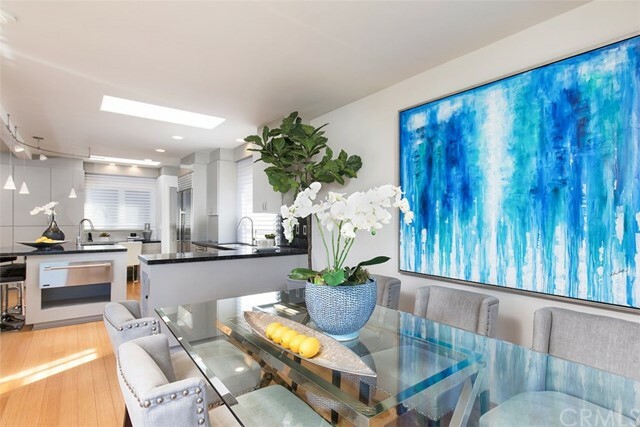 Welcome to the perfect balance of functionally and feng shui.